Bhaijaan Salman Khan‘s fans are eagerly looking forward to the release of his upcoming film ‘Bharat’. The film helmed by Ali Abbas Zafar will be hitting the marquee on June 5, and its trailer will be unveiled next week. Ahead of that Salman is treating his fans with the poster of ‘Bharat’ and guess what? 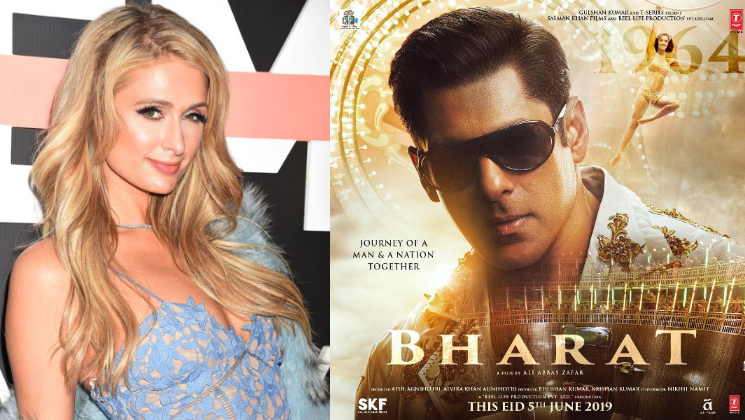 Hollywood’s renowned actress-singer and model Paris Hilton is very impressed by our Bhaijaan’s poster. Taking to Instagram, Salman sharing his young look from ‘Bharat’ wrote, “Jawaani humari Jaaneman thi!” Soon the internet when gaga over the actor’s new look and they started showering praises on him. For the uninitiated, Salman will be sporting five different looks in this film which traces the journey of a man and nation together. Looks like the craze for Salman’s ‘Bharat’ is not just restricted to Bollywood. 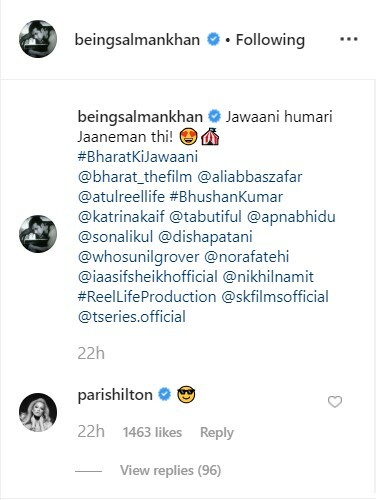 However, we are wondering since how long Paris is following Salman. ‘Bharat’ also features Katrina Kaif, Tabu, Disha Patani, Jackie Shroff, Sunil Grover and Aasif Sheikh in pivotal roles. The film is an official adaptation of the South Korean film ‘Ode To My Father’. And for more such interesting updates on this film, keep watching this space.